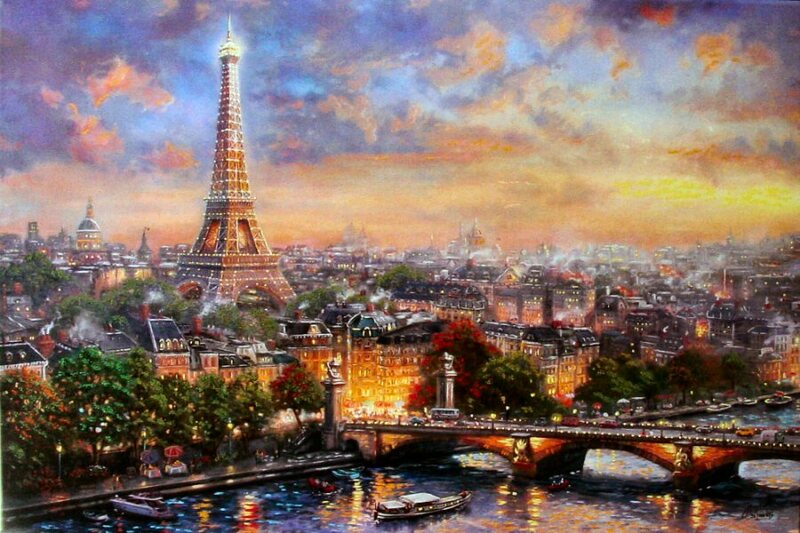 Paris, City of Love. The most romantic city in the world. A place where starry-eyed lovers stroll hand-in-hand along the River Seine or linger in sidewalk cafes speaking French, the "language of love." A city whose beauty strikes us at every corner, with its elegant architecture, iconic monuments, and the subtle combination of art, history and nature, creating the perfect canvas on which love can be conceived and painted into its own masterpiece. Standing above the city is the most romantic of places, the Eiffel Tower. With its glittering lights illuminating the birth of evening, couples share romantic moments, wedding engagements and honeymoons, that create memories that will last an eternity. Thomas Kinkade loved Paris, and the great tradition of artists and work that have flowed from its studios for centuries. He painted it often, always capturing its magnificent surroundings and that romantic "magic" in the air. 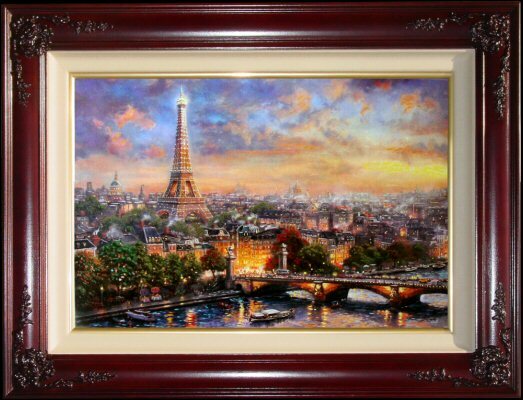 The Thomas Kinkade Vault presents a romantic vision of Paris. Find yourself strolling with someone you love down its streets or through this canvas masterpiece, and you will understand why Paris is called, the City of Love.